Home / women health / To Cope With Whatever Premenstrual Syndrome (PMS) — Follow This Guide! To Cope With Whatever Premenstrual Syndrome (PMS) — Follow This Guide! Cramps, bloating, mood swings sound familiar? If so, you’re likely among the 85 percent of women who experience the physical and emotional symptoms of premenstrual syndrome (PMS) each month. You may be relieved to know that you can take steps to control the discomfort and distress that often comes before your periods. From making lifestyle changes to seeking appropriate medications, there’s a treatment to help you cope with whatever PMS symptoms plague you. Premenstrual syndrome or PMS is still a medical mystery. Beyond intense irritability, it brings one or more of these symptoms: fluid retention, abdominal bloating, headaches, breast tenderness, low back pain, fatigue, sugar cravings, anxiety, and mild depression. If you need a reason to avoid cigarettes, here it is: A study of 10 years of health data from more than 3,000 women showed that those who smoked were more than twice as likely to develop moderate or severe PMS symptoms than those who never smoked. Although the exact reasons for this finding are not clear, avoiding smoking or quitting smoking could improve or even prevent PMS. Many women find that aerobic exercise the type of activity that gets your heart pumping helps ease sadness and anxiety, which are both common symptoms of PMS. Get moving for at least 30 minutes on most days of the week. You can try dancing, jogging, swimming, or brisk walking this is one kind of PMS treatment that you’ll enjoy. Even if exercise doesn’t totally get rid of the symptoms that occur during your periods, your amped up level of activity will help you control your weight and reduce stress. Changing your diet to a healthier one can make a difference in your PMS symptoms. Up your intake of fruits, vegetables, and whole grains and cut on sugar, artificial sweeteners, fat, and salt. The complex carbohydrates in whole grains may contribute to a chemical chain reaction that supports mood-enhancing emotions. If you’re overweight, under stress, or a smoker, symptoms can be worse. Give up bad habits and you’ll see a big difference each month. You’ll benefit from changes in your diet not only during your period but all month long. Alcohol and caffeine can both contribute to a PMS roller coaster. Consider limiting alcoholic drinks, as well as food and beverages containing caffeine – coffee, tea, cocoa, and even chocolate, throughout your cycle. A small number of women may find that their cravings for alcohol are stronger during PMS or PMDD. If you need help cutting down on either of these substances, work with your doctor or a nutritionist. “Just relax” – it’s easy to say, harder to do, but definitely worth the effort. 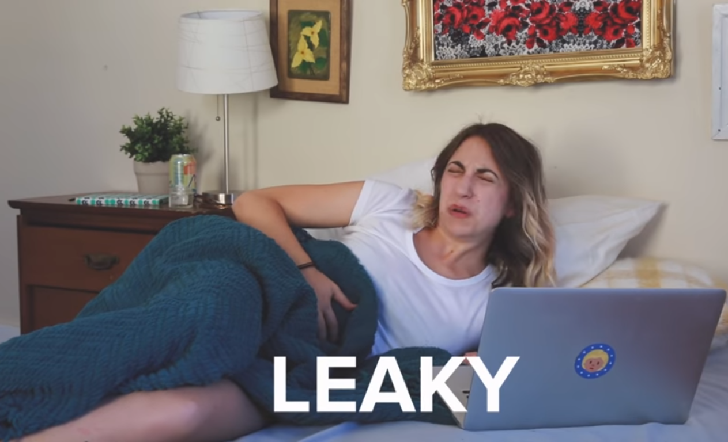 PMS may leave you anxious and tense, so it’s a good idea to learn some relaxation techniques as part of your PMS treatment. Consider yoga, deep breathing, or meditation. Stretching techniques such as yoga or tai chi can help you relax and will soothe aching muscles and joints. 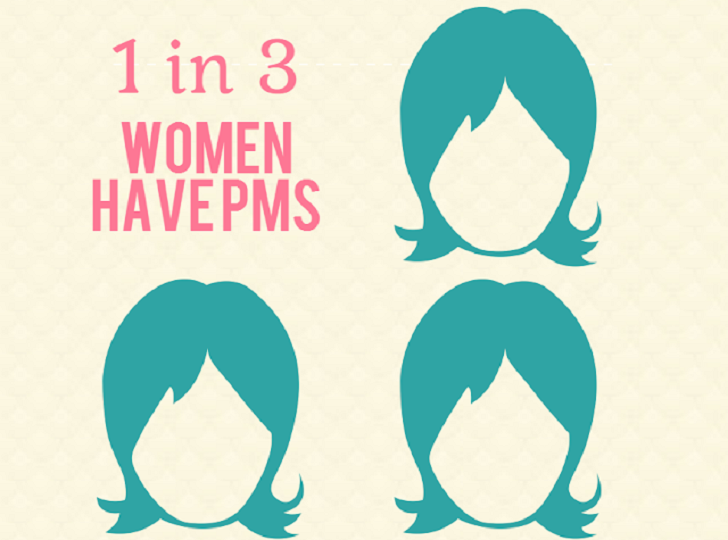 Acupuncture, massage, and chiropractic care also have the potential to help ease symptoms of PMS. During the time leading up to your periods, you may find that you’re one of the many women who crave certain kinds of unhealthy snacks. Typically those cravings are for salty or sweet fatty snacks. You may also crave fatty protein snacks or meals, like a hamburger or another meat. Getting more whole grain complex carbohydrates in your diet can help you control these cravings by keeping your glucose levels steady. Too much fatty food can lead to weight gain and other unhealthy consequences, so there are two good reasons to eat less of it.